A 1930s branding on the 77 Ranch in Manville, Wyo. 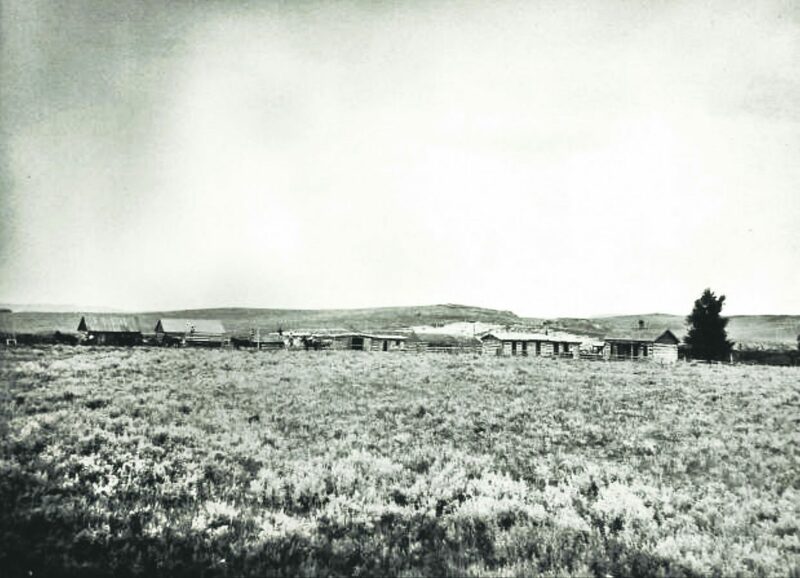 "According to the records of the Wyoming Stockgrowers Association, we find that from 1873 to 1880, the 77 brand was of record to W.C. Lykins. 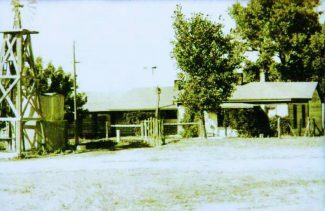 Billie Lykins was a famous livestock detective in the employ of the WSGA. We find further that in 1880 the brand was transferred to D.B. 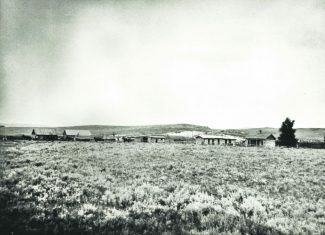 Wyatt, and the range was Lance Creek, Lightning Creek and tributaries," states a 1949 letter from Russell Thorp, then the secretary and chief inspector with the WSGA, to James Griffith, publisher of the Lusk Herald, of the earliest recorded history of the 77 brand. "In 1884, Wyatt sold it to T.B. Hord, and he ran it for several years. 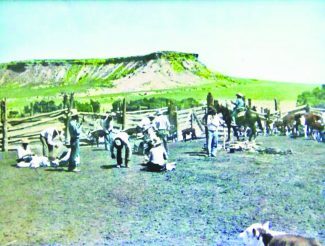 Then, he sold it to Ad (A.A.) Spaugh," Bud said, adding that Hord moved to Central City, Neb., and reportedly became the largest cattle and sheep feeder in the U.S.
"It is notable that Mr. Spaugh was captain of the largest roundup ever held in Wyoming, near Hat Creek in 1884. 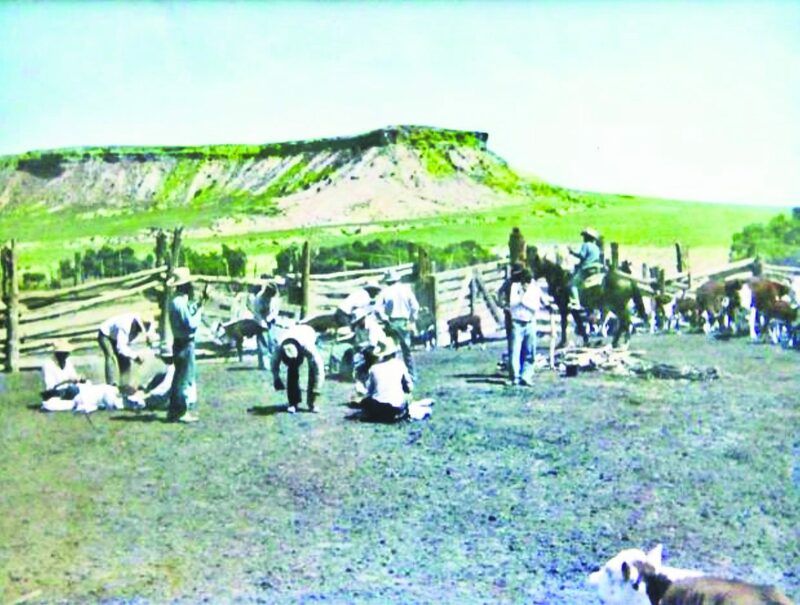 At one time, he was employed by the WSGA as a livestock detective and inspector," according to Thorp's letter of Spaugh's accomplishments prior to owning the 77 Ranch. 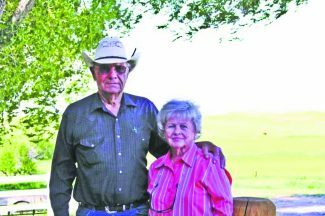 "They had bucking horses there, and Jess York told me they bucked them right out of our corrals out across the pasture," Bud said. "Dudley was probably after revenge for his brother's death, and made threats to kill Mike Shonsey on site. He rode up to Shonsey here one day and said he was going to kill him. So he drew his pistol and Shonsey shot him three or four times. They found out that Champion had been crawling in the mud or something — he had mud underneath the hammer on his pistol. But, it killed him and Shonsey galloped down here to the ranch and got a fresh horse and quit the country. They say he lived to be 90-something years old," recalled Bud of the story. 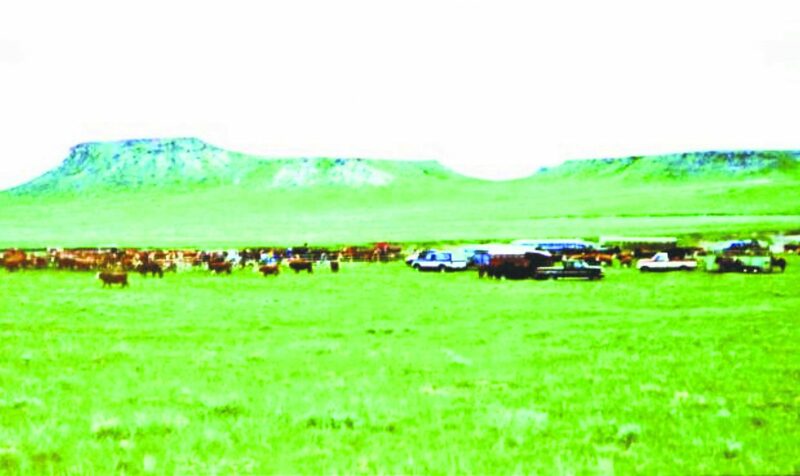 "We've always been a cow-calf operation, and we also run everything over to yearlings. In the 1940s into even the 1960s we would trail our yearlings to Manville and load them on the stock train for Omaha. In the 1960s we started trucking them to Omaha, and then it just got so we started selling at Torrington. 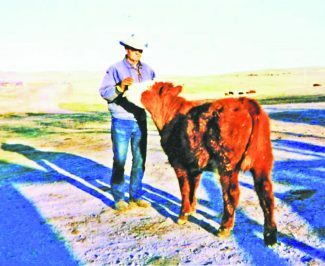 Dad also had one fellow who bought his yearlings 19 years in a row right here at the ranch, and that was the best deal," Bud said. 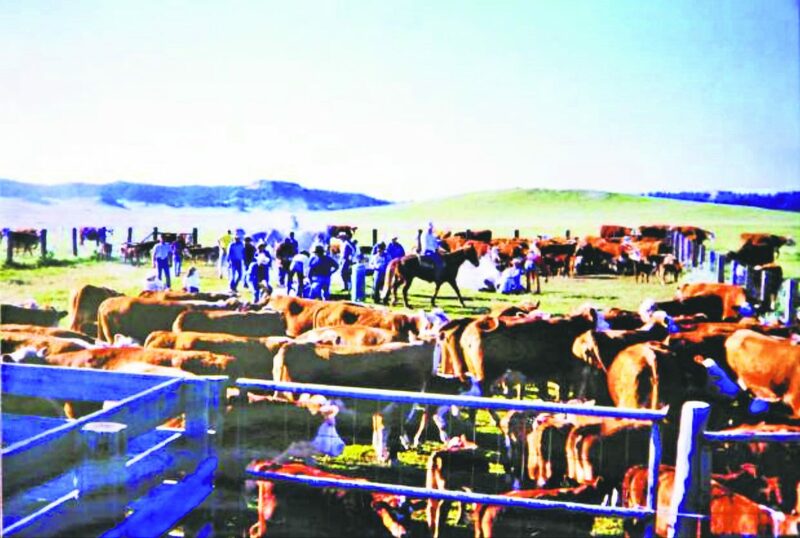 "Dad was a lover of Herefords and had them all his life. When everybody else started switching to blacks he just stayed with it. I guess they probably bought the place with those old Herefords, so he felt indebted to them. 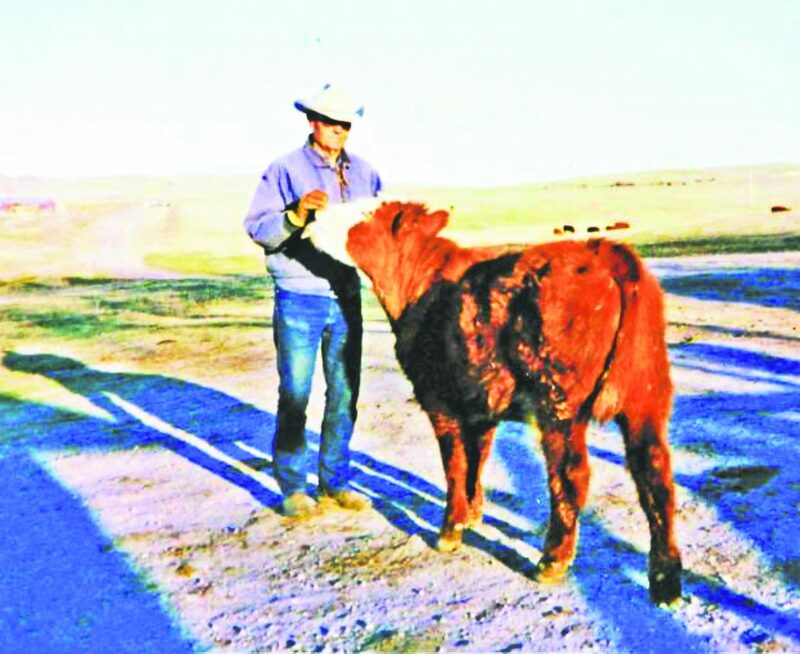 "In 1970 or so, I bought a few Saler bulls and crossed them on my Herefords, and that didn't pan out too well. 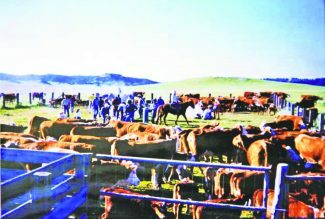 So, then we went to Red Angus on our Herefords, mainly because there were several years went by they docked you pretty bad if you took your Hereford cows or yearlings into a sale barn. 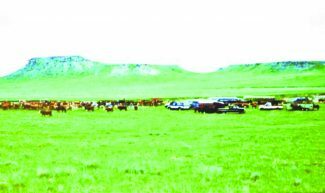 That's the main reason we crossed them, but went to Red Angus to keep the red in them I suppose," Bud said of the transition of the cattle over time. 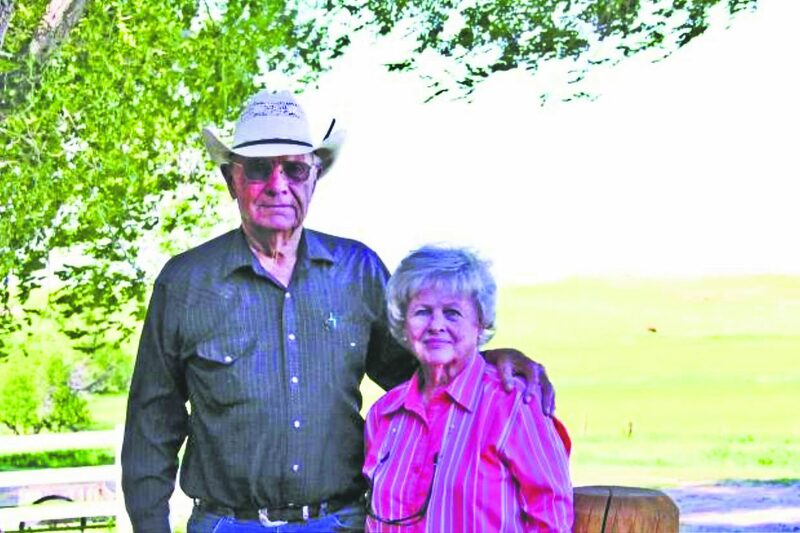 "All ranchers have the privilege of working for themselves, and we like being in the country too, especially on years like this when everything is nice and the weather cooperates," Betty Jean said. "From when I was old enough to remember everything was horses but the mowing machine when we hayed. Dad had a tractor on it, but we had teams for raking, sweeping and stacking. We also rode everywhere. Today we use big tractors and we pickup and trailer out to where we're riding," Bud said.